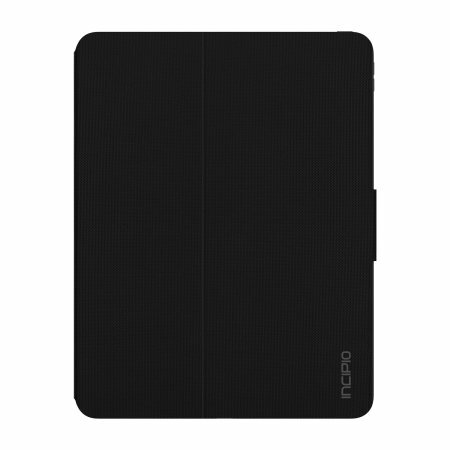 The shock absorbing Clarion Folio case Incipio Faraday iPad Pro 12.9 2018 Folio Case in Black from Incipio houses your iPad Pro 12.9 2018 tablet, providing protection and access to your ports and features while incorporating a built-in viewing stand. The Clarion Folio case from Incipio for the iPad Pro 12.9 2018 is ideal for keeping your device's screen free of scratches and dust. 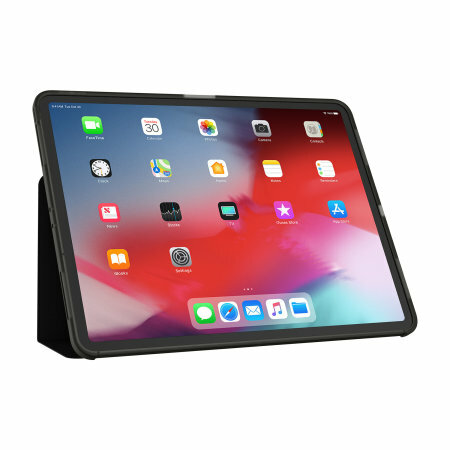 Made from high quality shock absorbing impact-resistant Flex2O™ TPU and featuring a suede microfibre interior, this attractive case is the perfect match for your iPad Pro 12.9 2018 - protecting it from daily wear and tear while looking stylish. The translucent back reveals the Apple logo, with flexible TPU and a tough front cover to protect the most important part of your iPad Pro 12.9 2018... the screen. 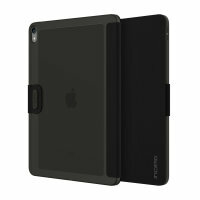 This is an extremely slimline case adding only minimal bulk to your iPad Pro 12.9 2018, while still offering excellent protection from knocks and bumps. 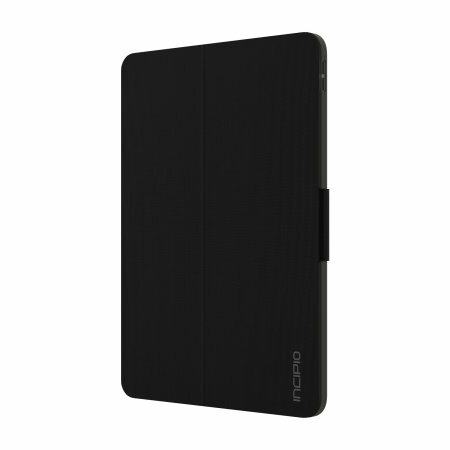 The sleek design offers a lightweight and bulk-free feel that complements the tablet's natural styling. 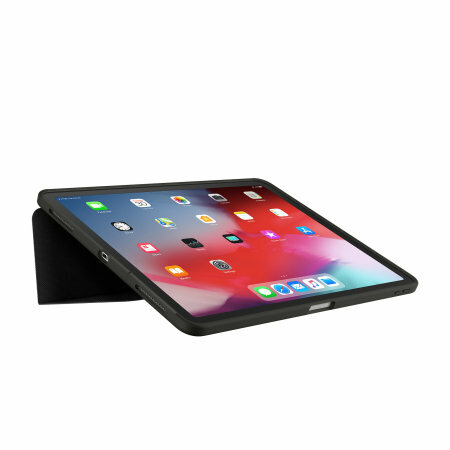 Not only is the case incredibly slender, but the back cover is designed to allow you to rest your iPad Pro 12.9 2018 in landscape mode secured by a sturdy locking clip. This creates the perfect viewing stand for watching movies, drawing and taking notes, listening to music or even web browsing and is also ideal for typing. 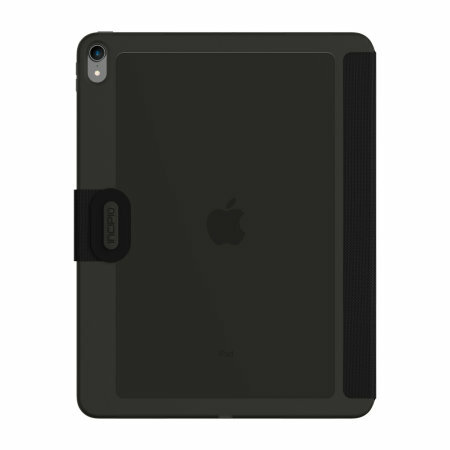 Despite a premium finish, the case still embodies perfect functionality for you to utilise the full potential of your iPad Pro 12.9 2018.